Easton is paying close attention to a vulnerability assessment prepared by Lafayette College and Nurture Nature Center (NNC), a detailed study that outlines the city’s susceptibility to effects of climate change. Created with data collected by Julia Nicodemus, assistant professor of engineering studies, and Benjamin Cohen, associate professor of engineering studies, students in their upper-level, project-based Sustainable Solutions class, and with guidance from NNC Science Director Kate Semmens, the assessment concluded that the changing climate has put Easton at increasing risk for damaging flooding and extreme heat. The 59-page study was honored recently by the Lehigh Valley Planning Commission. Lafayette’s participation in the project over the last year coincided with Easton’s goal to cut greenhouse emissions citywide by 30 percent by 2030 and 80 percent by 2050, a goal endorsed by City Council in May. Both the vulnerability assessment and mitigation goal are part of Easton’s commitment to the Global Covenant of Mayors for Climate & Energy, which was formed in response to the United States’ withdrawal from the Paris Climate Accord. Their results showed that the downtown and West Ward neighborhoods face the most risk as a result of climate change. The downtown, at the confluence of the Lehigh and Delaware rivers, is the most vulnerable in terms of flooding, with a large, vulnerable population, including the elderly. 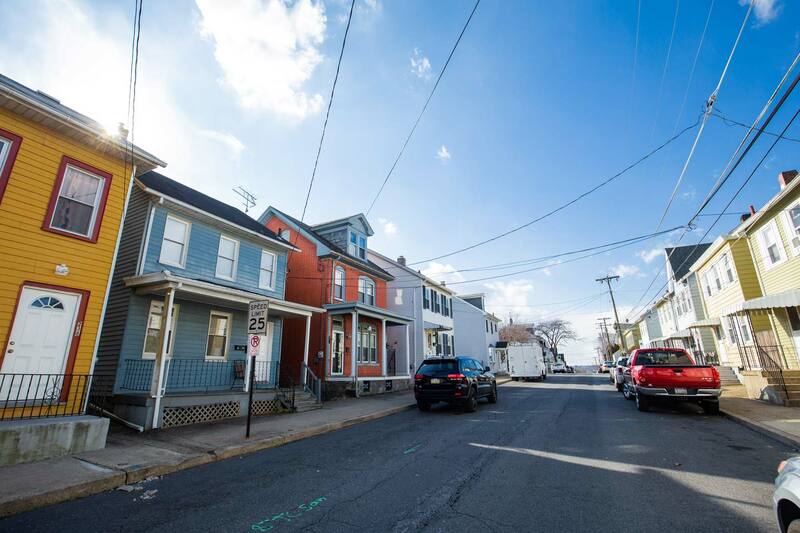 Easton’s West Ward, while not a flood-prone region, is considered susceptible to extreme temperatures based on its high percentage of heat-absorbing impervious surfaces and low percentage of cooling tree canopies. “An extreme heat event would impact this area significantly, more than other areas of the city, due to the large portion of vulnerable populations (poverty and renters) not being suited to deal with prolonged heat exposure,” the report says. As Easton expands its retail and tourism trade downtown, the report leaves much to consider. For instance, the proposed Da Vinci Science City at South Third Street and Larry Holmes Drive and other potential riverfront development lie in a flood plain, which opens discussions about how to protect property against flooding, Nicodemus notes. During the course of the project, students and their professors worked with city officials to get a sense of their understanding of these issues, researched temperature histories, projections, and emergency plans from other cities, and defined and tracked heat waves. For the students, the project was exhilarating. “It was difficult to hold them back,” Cohen says. Kam Hardy ’19 (engineering studies) says the experience fulfilled his desire to work independently on a weighty project. Easton Public Works Director Dave Hopkins says the assessment reiterated a need to remain vigilant and stay prepared, especially after the flooding in 2004, 2005, and 2006, the worst the city has seen since the 1950s. “Another vulnerability we hadn’t considered was high-heat events,” says Hopkins, noting that the Lafayette report identified areas without trees and areas of high impervious surfaces, which can adversely affect the underprivileged and people with disabilities. The study, he says, also affirmed the city’s plan to plant 150 trees a year along city streets. Hopkins says the report memorializes the city’s main environmental vulnerabilities and ties them into climate change. When I was 7 my father, who had purchased an automobile dealership in Phillipsburg, moved the family to a rented house on Taylor Avenue, Easton. The year was 1955. That summer, the combined effects of the snow from the previous winter’s snowfall and two hurricanes (Connie and Diane) resulted in the Delaware River rising to the roadway of the toll bridge; the free bridge being knocked off its mooring by a summer cabin floating down the river; and water creeping up College Hill. Hopefully, the study undertaken by faculty and students will prevent a replay of the “Great Flood” scenario. As we approach the 200th anniversary of the founding of the college, the study represents a classic example of the revived town-gown partnership. Pard pride! Kudos to all! BTW, my family left Easton later that year and I did not return until August 1966, the beginning of my freshman year.